Two of Pomona College’s most prominent alumni authors, Vikram Chandra ’84 and Ved Mehta ’56, have new books out in India. 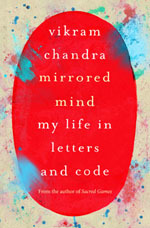 The latest from Chandra, author of the bestseller Sacred Games, is Mirrored Mind: My Life in Letter and Code, which explores computer coding and novel writing and the connections and trajectories of the seemingly opposing methods of expression. Mirrored Mind will be released in the U.S. in September as Geek Sublime: Writing Fiction, Coding Software. Chandra, who has spent years as a computer analyst and years as an acclaimed fiction writer, creates a work described by the publisher as “part literary theory, part tech story, and part memoir.” The book ranges from discussions of the Silicon Valley coding culture to an analysis of the writings of the fourth century Sanskrit grammarian Panini to an examination of his own relationship to Western literature. The Telegraph (U.K.) called it “a delight to read and never prescriptive… a thought-provoking set of linked essays that are part memoir, part analysis of geeks, part aesthetic treatise.” Meanwhile, Chandra’s bestseller Sacred Games may become a TV series. 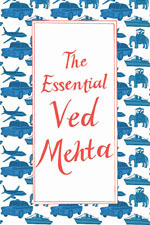 Ved Mehta ’56, the author of 27 books and many articles, has released The Essential Ved Mehta. The book contains excerpts from almost all of his nonfiction writings, beginning with his first novel Face to Face, published in 1957. Mehta was a staff writer at the New Yorker from 1960 to 1993, writing prolifically during his tenure. The Essential Ved Mehta contains Mehta’s published pieces that include his many writings on India and politics, as well as family stories and personal memoirs that delve into living with blindness since the age of 4. Both The Essential Ved Medhta and Mirrored Mind are published by Penguin India.